Comments: Flowers at young age, sweetly scented. Dependable. 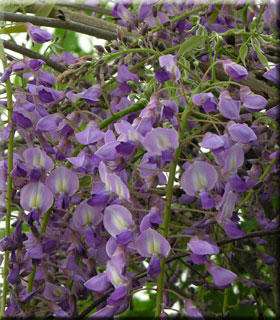 Is recognized as darkest purple of all single-flowering wisterias. Sometimes incorrectly sold as 'Black Dragon'.